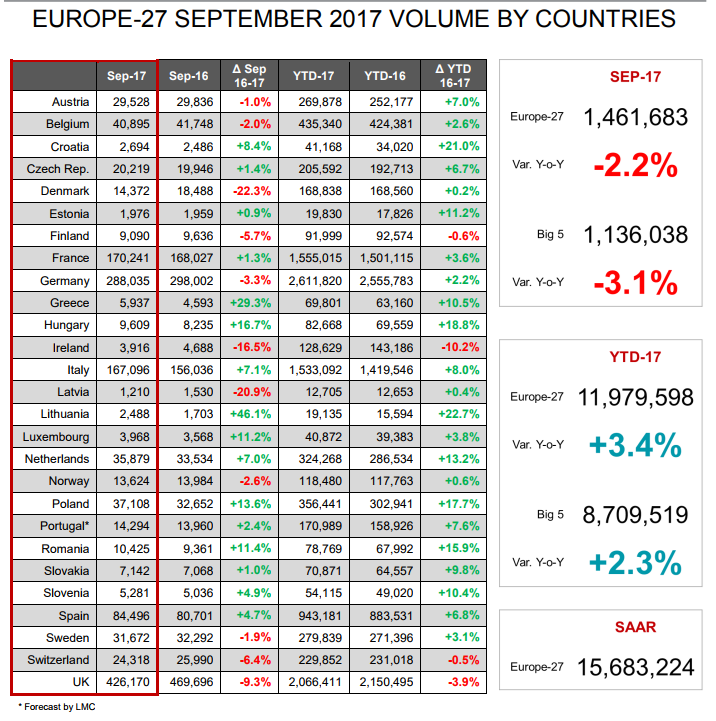 European car registrations suffered a 2.2% decline in September with Jato Dynamics partly blaming “Brexit uncertainty” for the faltering market. New registrations for the month totalled 1,461,683 units – a decrease of 2.2% when compared to the same month last year – as 11 of the 27 markets analysed suffered shrinking sales. In Germany the diesel crisis hit overall results as it suffered a 3.3% decline to 298,002 registrations in the month, according to Jato. The widespread decline in the market served to offset strong performances from Italy and Spain, which were up 7.1% (156,036) and 4.4% (80,701), respectively. Jato reported that the decline for September “points to a slowdown in European registrations, following a long period of strong results”. 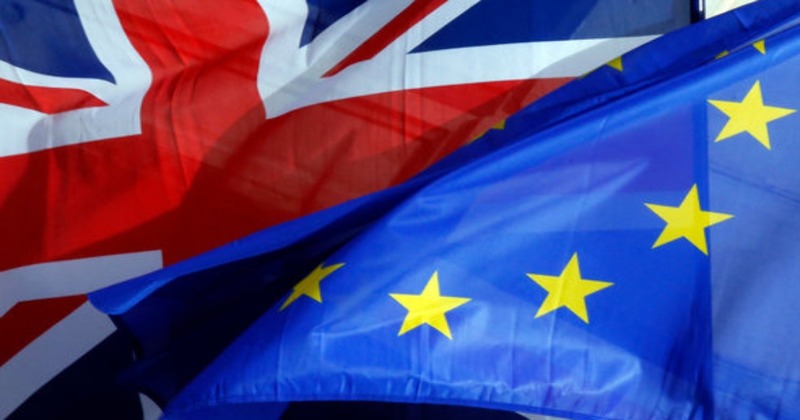 It said that the recent performance of the UK car market was having a significant impact on the rest of the region’s growth and could be attributed to “the increasing uncertainty around Brexit negotiations and the UK’s future in the European Union”. 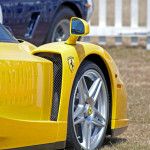 Felipe Munoz, global automotive analyst at Jato, said: “As anticipated, European registrations are starting to slow down following their unprecedented run of strong results. 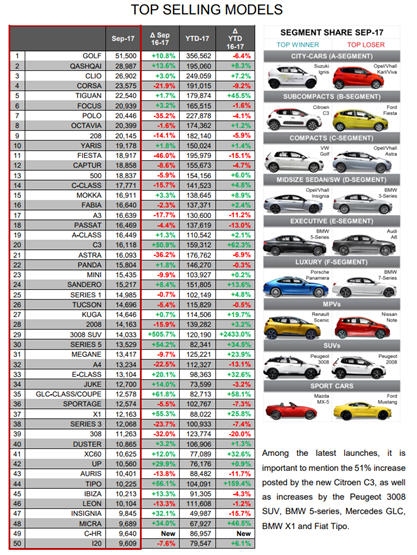 “Whilst a drop after such high levels of growth is not unusual, it is clear that the recent performance of the UK car market – one of Europe’s most significant – is having a substantial impact on the European car market as a whole. “And until there is more certainty around Brexit negotiations, and the UK’s future in Europe as whole, this is set to continue. “However, opportunities for growth are still there for manufacturers in the SUV segment, which continues to grow. The recently facelifted Nissan Qashqai became the second most popular car in Europe for the first time ever, outselling other popular models such as the Renault Clio and the Volkswagen Polo. The compact SUV, which came top in Finland, Spain and the UK, could not beat the updated Volkswagen Golf, which posted double-digit growth for the first time in 2017, posting particularly strong results in the UK, France and Italy, Jato said. The strong month for the Golf comes ahead of the launch of the new Volkswagen T-Roc, which may have a negative impact on the model’s registrations in the future as it will sit in the SUV segment and will be similarly priced to the Golf.